It’s taken a while, and there have a few administrative mountains to climb, a few moments of high drama, but 1600 Shelterboxes have finally arrived at Bole Cargo Terminal, Addis Ababa. I really must thank Ethiopian Airlines and UNHCR for their last minute help, we owe you one! Half of Team 2 are already down in Dolo Ado. Dave Hallett (CAN) and Emily LoSavio (USA) made the 2 day journey down by 4WD last Tuesday and have linked up with Save The Children and UNHCR to work out a distribution plan. Dave described the situation as “desperate”. 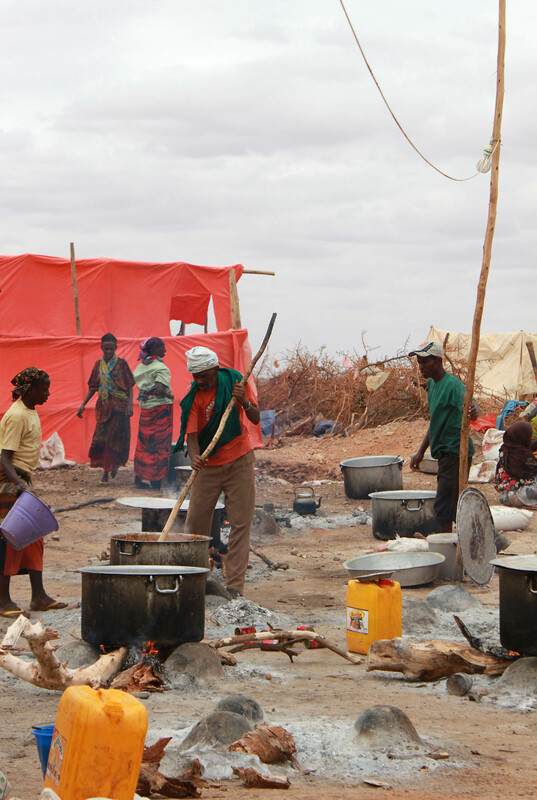 More aid is arriving every day but then so are more famine stricken refugees. There is a plan underway to build a camp for another 15-18,000 people. 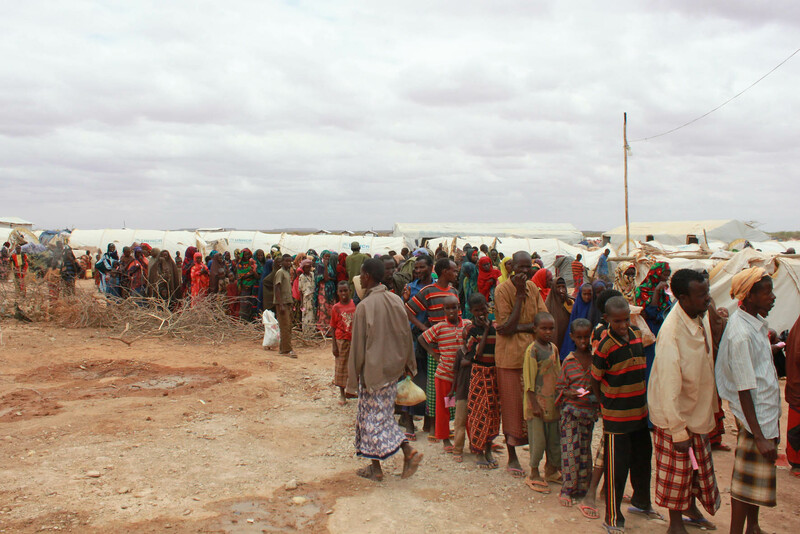 ShelterBox aid will be targeted at the most vulnerable and Dave & Emily are working closely with other NGO’s on the ground and the refugee councils to identify those most in need. 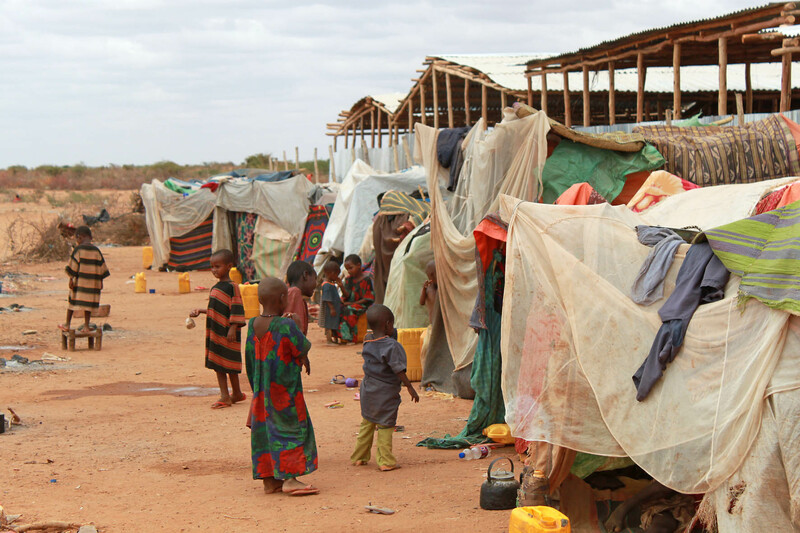 (unaccompanied minors in Dolo Ado refugee camp). Back here Addis, the customs clearance process is underway and we’re hoping to get the first of Save The Children’s 40″ trucks on the road this afternoon (it will take 9 of them to shift the consignment). It’s a 3 day journey by truck to Dolo, with at least one of those days off road. The other half of Team 2, Adrian Sumner (UK) and Rebecca Ridgeway (UK) will make their way down to Dolo early next week and should arrive the same time as the first of the boxes. The logistics of this operation have been complex to say the least. It will be gratifying to see some tents go up. An Ethiopian colleague of ours, an ex-airforce officer said he’d lived through 3 wars and one famine and the famine was the worse by far…….. Please share this post and spread the word, thanks. This entry was posted in Shelterbox and tagged Addis Ababa, Dolo Ado, Ethiopia, Ethiopian, famine, Horn of Africa, refugees, Save The Children, Shelterbox, Somali, SRT, UNHCR. Bookmark the permalink.